One of the most spoken about of the 4Cs of diamond appraising is the color. In this article we will discuss one of the most misunderstood color; the K color diamond. The color scale against which all diamonds are graded actually runs from D to Z. The reason there are no A-C grades is historical and pre-dates the official GIA scale used today. Prior to the 1940s, several scales were in use to grade diamonds on their color. There were scales which used Roman numerals, words like “water” and “river”, and one which used A, B and C. This made things very confusing as dealers had to know how each scale worked based on where in the world they were. Even more confusing was the way the alphabetical scale used A, AA, AAA etc for increasing quality. To cut ties with the old ways completely, GIA started the scale we know today at D. Now, this is the de-facto scale used around the world by all diamond dealers and jewelers. Click here to learn how to read a GIA certificate. To most of us, a D color diamond is just about impossible to differentiate from a J color diamond. This is a key reason why an appraisal certificate from a recognized body is essential when buying a diamond. Without it, you’d have no reliable way of knowing what the color actually was. What Makes A Diamond White? Actually, it’s what doesn’t make a diamond white. Traces of other elements are what causes otherwise white diamonds to be yellow, brown and even red or blue. In the most common non-white color of yellow, it is nitrogen that is responsible for the color being present. Nitrogen, whilst being the most abundant element in the atmosphere, isn’t particularly common in the earth’s crust. This makes it a little surprising that Nitrogen is the element most commonly found in diamonds, after carbon. By the time we get to K on the color scale, the yellow tint is starting to become more pronounced. Based on this, you’d be forgiven for thinking that anything below J would be discarded and considered unsuitable for fine jewelry. But you’d be wrong to write off K color stones quite so easily. As we’ve mentioned above, it’s unlikely that you or I would be able to see any color in a K color diamond unless, perhaps, we had a colorless diamond sat beside it for comparison. On the old color scales, K was the equivalent of what was called “Tinted White”, as opposed the the next grade of “Tinted Color”. This is a good indication that K belongs more to the top end of the scale than the bottom. When set with platinum or white gold, the yellow tint in a K color diamond may start to become noticeable. However, this would still require close examination. With the usual viewing distance you’d expect for an engagement ring, any observer would be hard pushed to see anything but a colorless diamond. Conversely, in a yellow gold setting the slight warmth of the K color would be exaggerated. This versatility makes a K color diamond one of the most versatile there is. Old mine and old European cut diamonds are becoming less and less used in their original form. 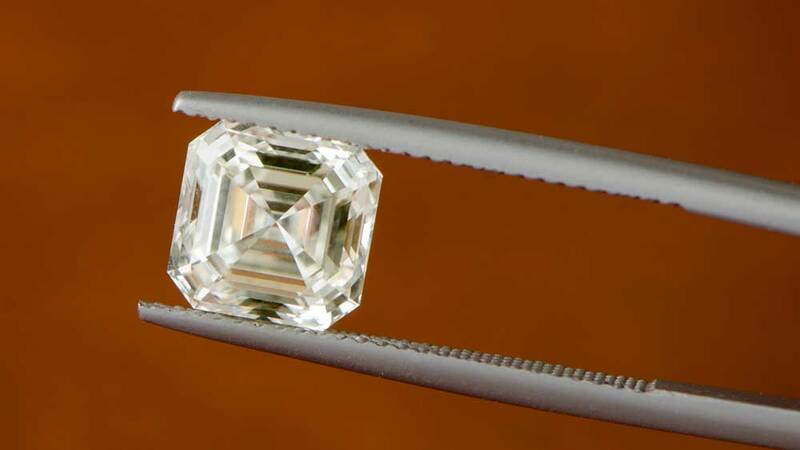 Because most antique diamonds don’t conform to modern cut standards, many a re routinely re-cut. Those that do survive, though, have a couple of distinct advantages over a modern cut diamond. This is especially true of those officially classed as K color. Antique diamonds have something that modern stones will never have, or at least not in such quantities. Character is something that is often missing from diamonds cut in the last 30 or 40 years, as a result of modern techniques making one almost indistinguishable from the next. Antique diamonds also have a history that simply can’t be matched. Even if that history isn’t well-documented, just knowing that an antique ring was being worn over 100 years ago has a certain charm. However, the biggest advantage is in the color. Diamond grading is always done at 10x magnification, which makes seeing inclusions, flaws and color tints much easier. With antique cuts like old mine and old European, the cut itself is a huge help to the apparent color. 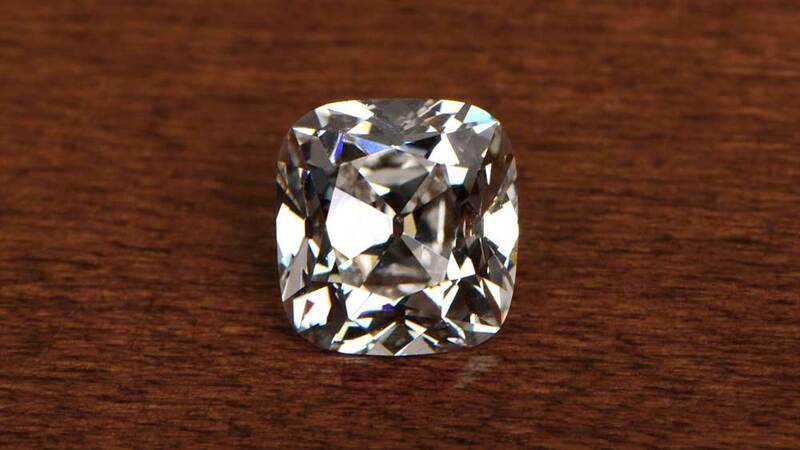 Although classed as K color, most antique diamonds will actually present quite differently. Many K color antique diamonds compare favorably to a modern J or even I color stone. It is unclear as to whether this is by intent or by accident, but it is certainly true. The old cuts somehow mask any tint at this level, making them appear much whiter than a 10x loupe examination would establish. So, if a K color antique diamond looks like J color, for example, is it such a big deal? Well, we’ve already said that the difference between J and K colors is very difficult for the naked eye to see, but it is still important. The reason it is important is very simple. Cost. Whereas a J color diamond will be around half the price of a D color with all other things being equal, so a K diamond may be as much as 20-30% lower in price than a J color. Most jewelers will consider K color to be the start of the tinted diamonds, when really it should be the end of the colorless. When we consider the added benefits of the antique cuts in hiding color, the financial advantage becomes even more pronounced. If you remember the information above next time you’re shopping for a diamond or a finished ring, you can grab yourself a real bargain by refusing to be seduced by letters. Think “antique” and think “K”, when shopping, and you’ll have more of your money in your pocket when you leave than you might have expected. If you have doubts, ask to see both J and K colors side by side. We doubt you’ll be able to tell the difference, especially if the K is an old mine or old European cut. D color diamonds are truly beautiful things, but there’s a reason why they are out of reach for many of us. Being a bit more savvy about what colors down the scale really mean will make a difference. Click here to browse our collection of K color diamond rings and jewelry.